Jawun works with a number of Indigenous leaders in the East Kimberley who are pursuing their vision for a stronger future for their people. Ian Trust was born on Moola Bulla Station, 20 kilometres west of Halls Creek, to parents who are members of the Stolen Generation. He has a strong and coherent vision of a better future for Aboriginal people in the East Kimberley – a future beyond welfare and government dependency. In 1993 Ian was elected as Chair of the ATSIC Wunan Regional Council, covering the East Kimberley region of WA. 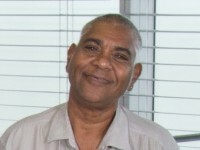 He was elected as ATSIC Zone Commissioner for the Kimberley in 2002 until 2004. Ian was appointed Executive Director of Wunan Foundation in 2004, and has been Chairman since 2008. Ian is also Deputy Chair of the Kimberley Development Commission, Chair of the WA Aboriginal Advisory Council, a director of Binarri-binyja yarrawoo Aboriginal Corporation and a member of the National Empowered Communities leadership group. Ian has been involved in the economic and social development of Aboriginal people in the East Kimberley over many years. This was the driving force behind his involvement in establishing two key regional organisations in Wunan Foundation and Kimberley Group Training in the 1990’s to contribute to change in the region. Ian is a strong believer in Aboriginal empowerment and the need to create the social and economic environment for people to succeed. Desmond ‘Des’ Hill is a strong leader and has worked to address the social and economic challenges for Aboriginal people for many years. He has held the position of chairman of MG Corporation, a leading Indigenous organisation that receives and manages the entitlements transferred to the Miriuwung and Gajerrong peoples, native title holders over their country in the East Kimberley. 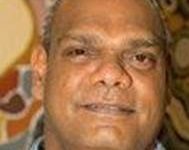 He is also the Chief Executive Officer of Waringarri Aboriginal Corporation and is a Director of Binarri-binyja yarrawoo Aboriginal Corporation Backbone for Empowered Communities in the East Kimberley. Des worked for the Kimberley Land Council in the early years of Mabo and has previously worked as a teacher. Ted carries on the stories of his mother’s sacred country, including the totem of the Tiltuwum tribal group who are the guardians of the Jaliwang Dreaming, where the Barramundi travelled across the country and laid her eggs at Argyle Diamond Mine. Born in Wyndham and raised on Lissadell, a cattle station south of Kununurra in the remote north of Western Australia, Ted has been operating Luridgii Tours for more than 10 years. In 1980 Ted returned to his family’s community of Mangdangala, next to Lissadell Station, the home of the Argyle Diamond Mine. Ted is passionate about tourism and the opportunity to show people his home, and tell the stories of the country and explain the cultural values of his people. Lawford Benning was appointed as a director and Chair of Yawoorroong Miriuwung Gajerrong Yirrgeb Noong Dawang Aboriginal Corporation (MG Corporation) in December 2016.He is also a director of the MG related entities of Miriuwung and Gjerrong # 1 and # 4 (Native Title Prescribed Body Corporate) Aboriginal Corporation RNTBC, MG Community Foundation Pty Ltd, MG Dawang Land Pty Ltd, MG Developments Pty Ltd, and MGC Building and Maintenance. In addition he is also the Chair of the MG Joint Management Committee for Reserve 31165. 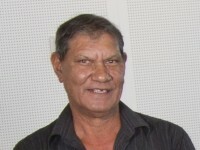 Lawford is also a founding director of Binarri-binyja Yarrawoo Aboriginal Corporation (Empowered Communities, East Kimberley) and was instrumental in establishing Empowering Communities in the Kimberley. Recently, Lawford has been selected by Federal Government, as one of eight senior Indigenous leaders to advise the Government on its Northern Australia development agenda, through the inaugural Indigenous Reference Group (IRG). Apart from advising Government, the IRG has been established to ensure Government policy benefits Aboriginal businesses and supports innovation. Born and raised in Kununurra, Lawford is a well-respected member of the local community, having held senior positions with a number of Aboriginal and non-Aboriginal organisations. Lawford was instrumental in the development and operation of the significant Ord Enhancement Scheme through his role with the Kimberley Development Commission and as a MG person. Lawford is recognised for his natural leadership abilities and was selected to participate in the Australian Rural Leadership Foundation program, which took him across Australia and to India. Lawford is focused on generating economic development opportunities and improving social outcomes for MG people. He is passionate about promoting and driving social change in the areas of community safety, early childhood education and meaningful and sustainable employment outcomes for MG people through a framework of Indigenous empowerment. Lawford has a vision for the MG people and the Kimberley region more broadly and invites you to join him in this exciting journey.